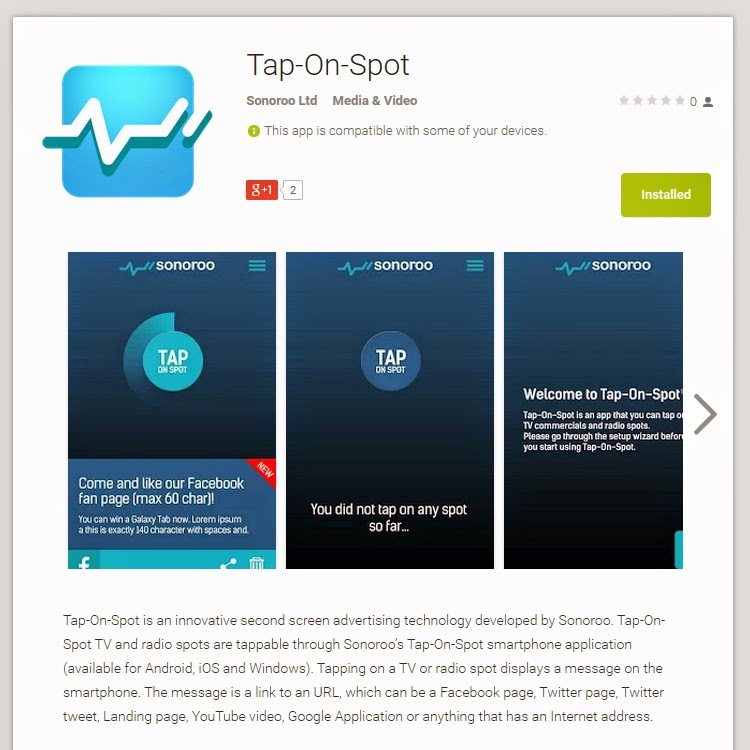 We have released Tap-On-Spot 1.0 app in Google Play this morning. Second screen revolution passed another milestone. Download it, and test with the dummy video on our website, sonoroo.com. Keep in mind to choose United States as country when setting up the app. The app supports 6 languages, English, German, French, Russian, Italian and Hungarian. If you want to get notified when as we move forward, than sign up for our newsletter. Please click on Google+ icon below so others can find this post too. Thank you! Upcoming milestone: Release for iOS is coming soon!